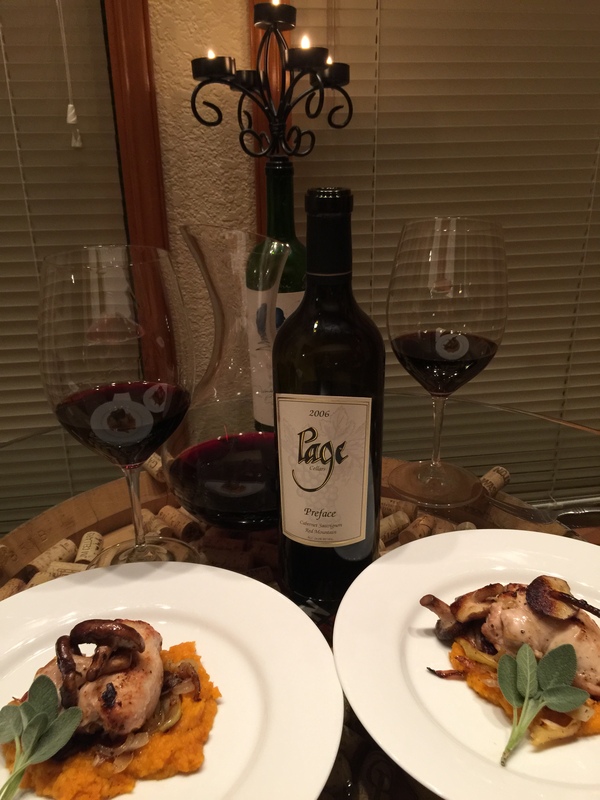 A Woodinville, WA couples view on food, wine, beer and spirits happenings. The LeBrendt Bistro Is Open! I really am very happy that Kevin has found his dream job, working at J Bookwalter Tasting Studio in Woodinville. But, with Kevin focusing on his new job recently as the J Bookwalter Tasting Studio Manager, the “LeBrendt Bistro” at home has been empty and the table, getting dusty. I asked Kevin if he could fire up a great meal again and we could dine at our “bistro” at home, unless he forgot how to do all that?? 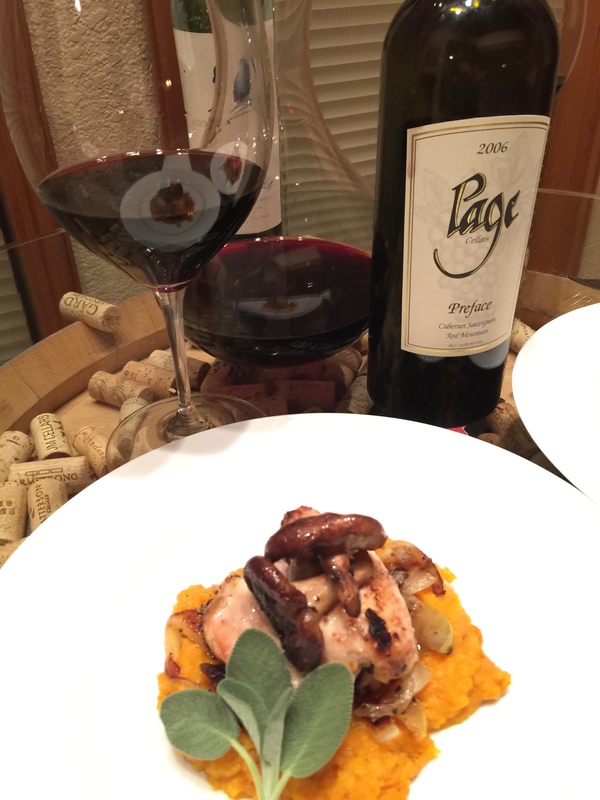 Kevin responded to the challenge with a great meal, great wines and a lot of fun during a kid free evening at home. 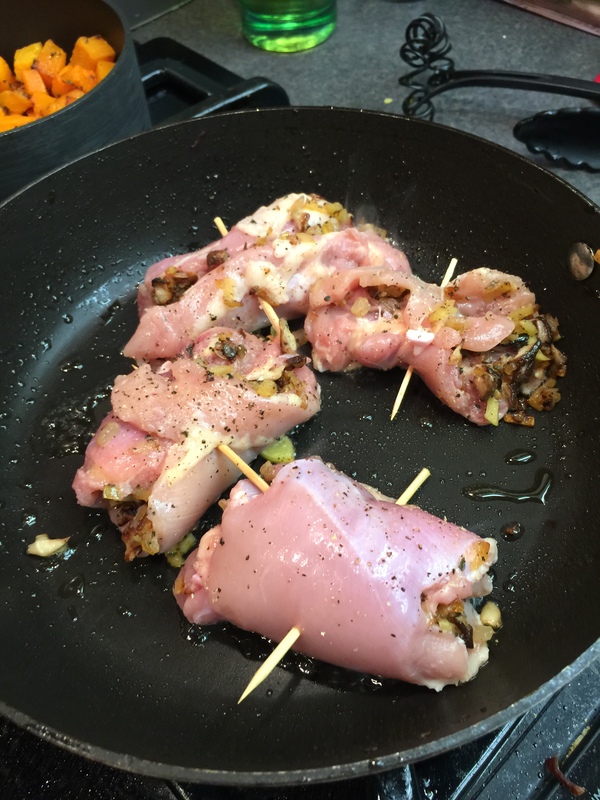 I am very lucky, and one way that I express my gratitude is by posting this blog post with great pictures of our dishes! Kevin likes to course it out, small bites, many courses, pairing each course with a different bottle of wine. 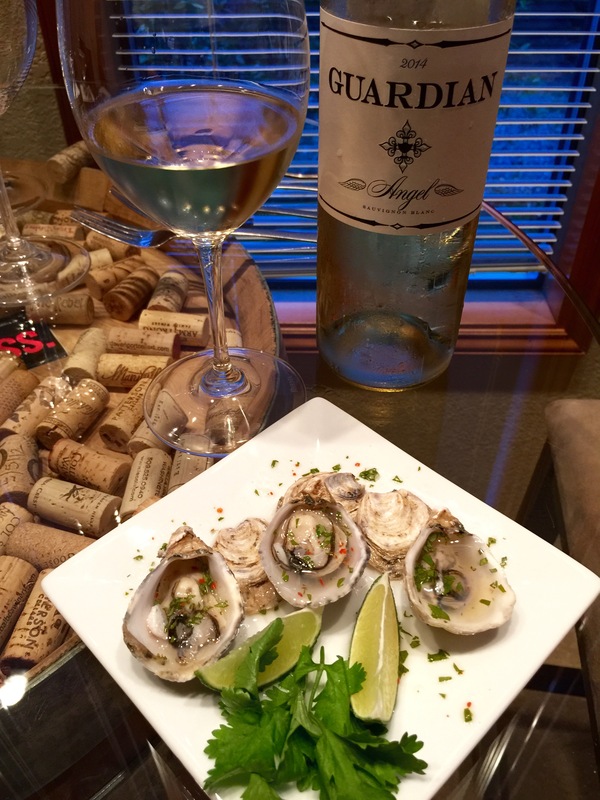 Our first course was a fantastic pairing of Kusshi Oysters with Guardian Cellars Sauvignon Blanc. 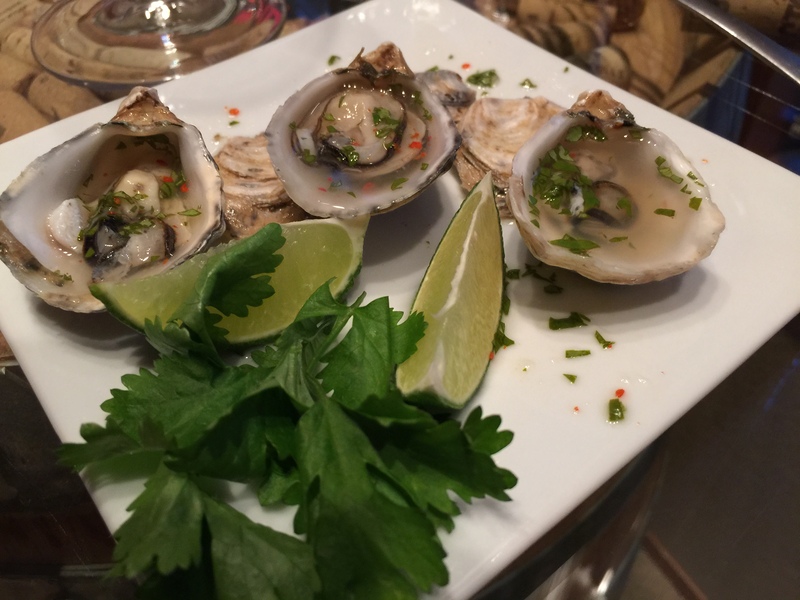 Fresh Kusshi Oysters with a cilantro Aleppo Pepper minuet. These small oysters are easy to eat, and have a great flavor. 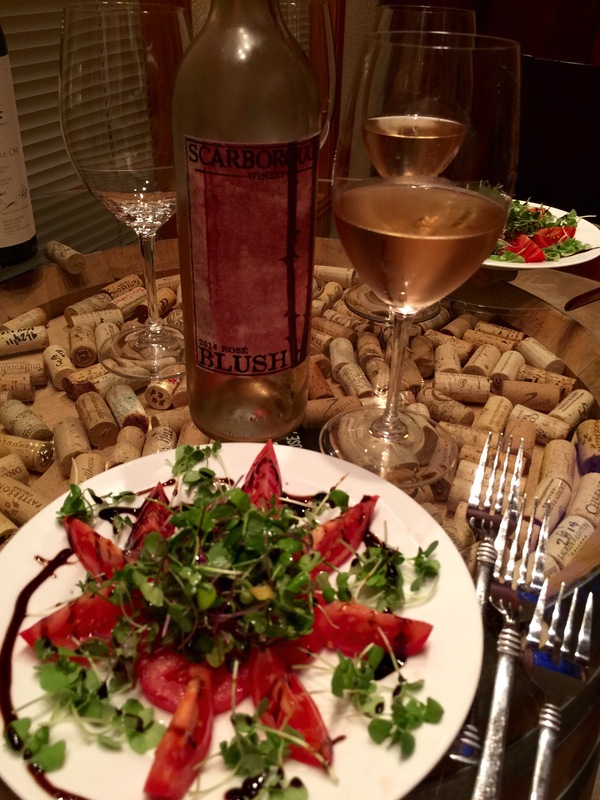 Kevin whipped up course number two: a tomato micro green salad with apple balsamic vinaigrette with a Scarborough Rose’ of Grenache. I love balsamic vinegar and the micro greens were fantastic with the tomatoes adding a bit of spicy flavors. This was a Rose’ we had not tried before. It was a nice, dry Rose’ which paired really well with Kevin’s dish. 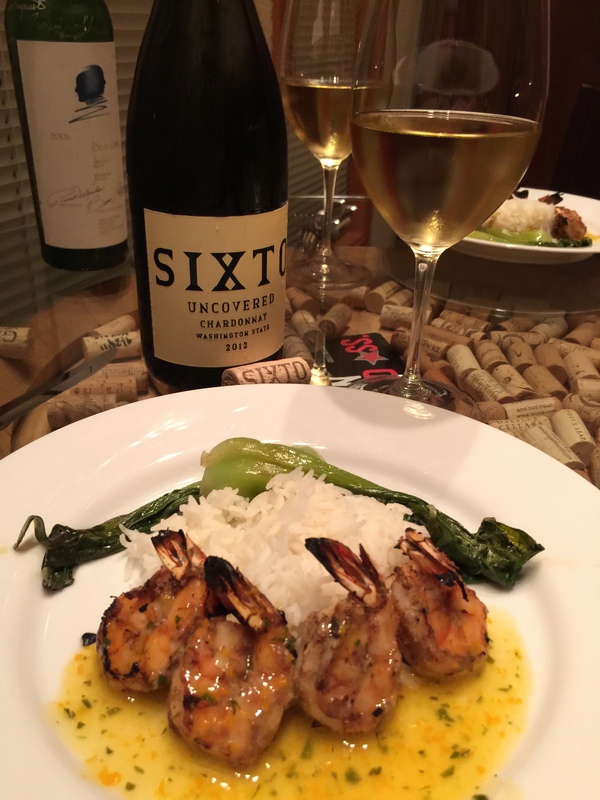 Course three, delectable five spice grilled prawns with an orange zest sauce, resting against jasmine rice and grilled bok choy, paired with Charles Smith Sixto Chardonnay. 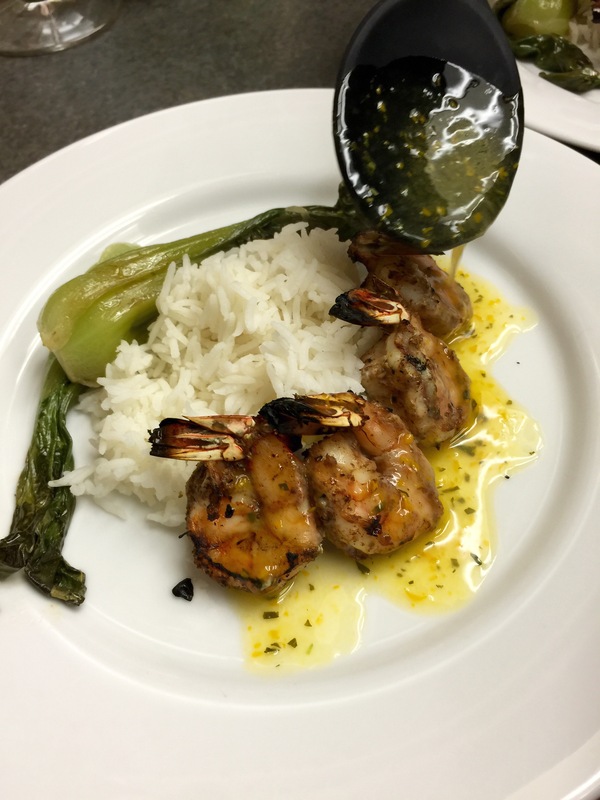 Fantastic orange flavors in this dish, this was a new sauce that Kevin created and I loved it! He should try it again with chicken, that would be great too! 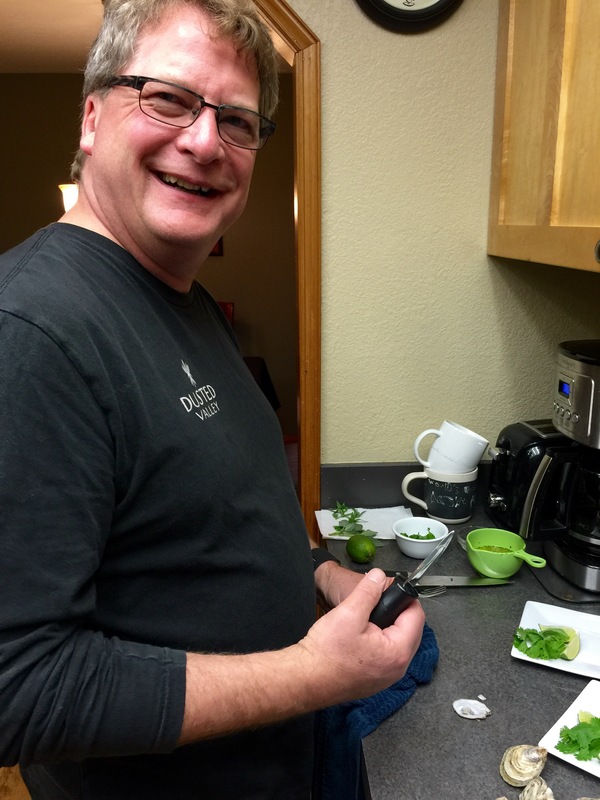 Kevin never uses a recipe, and has a natural ability to combine flavors that work great together. Kevin had a dessert planned, but one of the kids arrived home and the house was busy again! We both enjoy writing on Woodinville Food, Wine, Beer & Spirits. We are local Woodinville residents and are very supportive of our community! follow us as we discover and revisit the tastes of Woodinville, WA out and about and at our Woodinville home. As Woodinville residents, we embrace all that Woodinville has to offer in local beer, wine, spirits and eateries. On the weekends, we spend our time exploring the local breweries, wineries and tasting rooms of Woodinville. We will be sharing our experiences and promote all that Woodinville has to offer! Kevin has over 20 yrs. 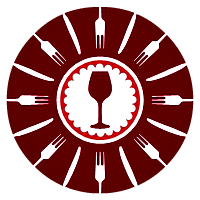 experience in the restaurant and wine industry in both Washington and California. He contributes his expertise on wine and food. He has created many wine lists for his restaurants and in 2011 was presented an award by the WA Wine Commission for his list, which featured Northwest wines. Kevin is also an amazing cook. He frequently “chefs it up” and I must admit, I am spoiled with awesome cuisine on a regular basis. As we make our way through all of the 100+ tasting rooms and wineries (yes, there is a distinction) in the Woodinville area, we love to discover new and exciting wines and meet fantastic people! After a day of tasting, we return home and talk about the wines, the people we’ve met and what we liked and didn’t like. In our opinion it’s not all about the wine, it’s about the experience. The more successful tasting rooms have great wine, ambiance, are visually appealing and have pleasant, knowledgeable staff. We’ve had the best tasting experiences at the rooms that have interesting artwork on the walls, music (live or streamed), and a great staff (and please, no Goldfish crackers!). When the winemakers present the tasting room visitor with a great tasting experience, guests are more likely to have a memorable experience, purchase wines and return with their friends. 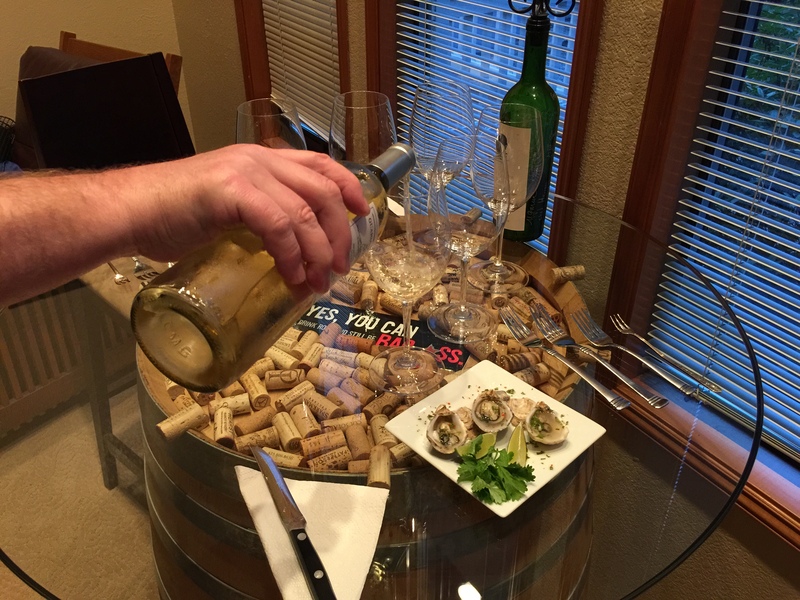 A few standout mentions for a great tasting experience and wines in Woodinville are; Guardian Cellars, Lauren Ashton Cellars, JM Cellars, Page Cellars, Patterson Cellars and Sparkman Cellars. We look forward to writing all about our experiences and promoting our local businesses! With over 100 tasting rooms and wineries here in Woodinville, if you haven’t already done so, break out the WWC map and make it a point to come visit Woodinville Wine Country. Also, if you are local here, there are many volunteer opportunities to experience the wine making process first hand, working side by side with the winemaker on bottling, labeling or crush activities. © TastingFoodWine 2012-2019. Unauthorized use and/or duplication of this material without express and written permission from this site’s author and/or owner is strictly prohibited. Excerpts and links may be used, provided that full and clear credit is given to TastingFoodWine aka Julia & Kevin and www.tastingfoodwine.com with appropriate and specific direction to the original content.